If coffee is the nectar of gods then espresso is its adrenaline junkie cousin who smoothly cruises through life at 100mph. Just as with every coffee-related beverage, the making of espresso is an art in itself and seeing the rich light brown color with blonde stripe-like highlights flow down during extraction is a beautiful thing to behold. Now following the school of thought that 1 + 1 = 2 and 2 x 2 = 4(just flow with me), a great double shot of espresso only happens if you make it right and if you want a repeat of this incredible taste over and over, you must clean your espresso machine often. 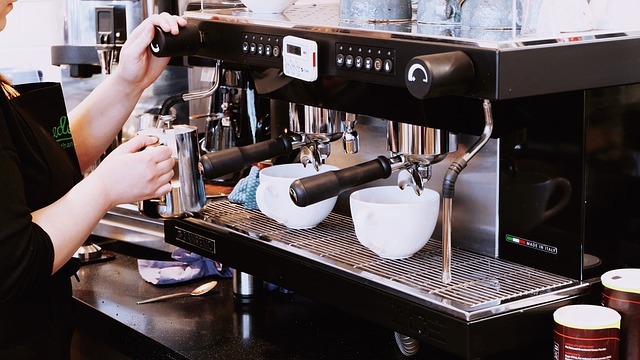 An espresso machine is made up of several parts all of which are very important and are linked together in making the best brew possible, but only if they are all working right. The best way to make sure that the parts are running smoothly is to clean the machine as regularly as your schedule allows. Keep in mind that a bad shot of espresso can ruin your day. A great way to keep your group head clean is by using a quality espresso machine brush. I recommend this one from Amazon. However, if you want kind of the Cadillac of brushes, this one is also available. Keeping the interior of your machine clean is a good idea too. 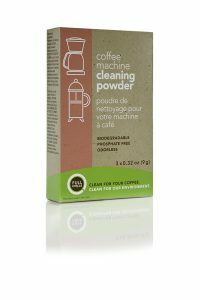 There are a couple different products that do a great job for this for keeping all the lines, valves and heads clean and free from coffee residue. One is a powder (click here for more info) and other is a tablet (click here). For cleaning the steam wand, this product on Amazon also does an excellent job. As this process really determines the quality of your espresso, you need to clean out all the parts related to this. The grinding chamber can either be easy to reach or will need you to take apart using tools. Clean the grinding chamber and the cogs warm water, cleaning product and a cleaning sponge. However, to avoid a lot of wear and tear to this part, keep the dismantling to a minimum. Empty out the dosing chamber if your next brew is after more than twenty minutes. This is because ground coffee goes stale very quickly and will definitely affect the taste of the next espresso shot. Use a specific brush or even a normal painting brush to empty and brush out this chamber. The brush shouldn’t have a metal clip between the bristles and handle to avoid scratches. The exit chute is a bridge between the doser and grinder and retains coffee grinds after grinding. Since it’s a hard place to reach, when you’re preparing to brew a fresh shot, run some fresh grinds through the chute to chuck any stale remnants then toss them away before you start. The steaming wand and nozzle are used for the milk and are quite easy to clean. For a home espresso machine, you can wipe it with a clean wet towel and get any dried milk out of the nozzle using a clean, straight pin. The best way however is to insert the steam wand into water and press the ‘Steam’ button and this will ensure all the milk bits are cleaned out then you dry the wand and nozzle. 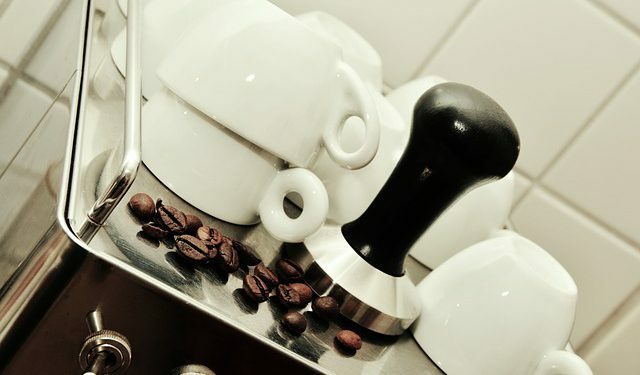 The portafilter is an essential part of the brew-group of the espresso machine. A lot of times, due to overfilling the basket or not tamping down the coffee grinds properly or even shaking up the portafilter during the extraction, the shower screen can clog up. 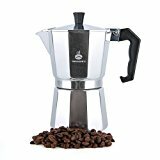 This affects water distribution and instead of your coffee flowing through the bottomed or bottomless portafilter evenly, it creates a channel and absolutely destroys the end result in your cup due to uneven distribution. This affects the entire shower screen, face and even the brew heads. Use a brew-head-specific brush to scrub the area and then use water to flush out the screen and wipe down with a wet cloth. You can soak the detachable parts about once a month in cleaner to really get the grinds out. Espresso 101 indicates that the espresso you make is only as good as the water you use. Using a simple carbon filter keeps out the mineral impurities that affect the taste of your brew. Despite using a water filter, mineral residue can build up in the water tank. Fill the tank with clean water and add descaling tablets that you can get from the espresso machine’s manufacturer or even citric acid and click the descale option from the program menu and place a big dish under the steam nozzle. After this use a container of cold water and immerse the steam nozzle and allow to froth three times to remove any mineral residue from it. Clean regularly to avoid clogs and remember to read the manual that comes with your specific espresso machine. Add that knowledge to these practical tips and you can easily go about unclogging your espresso machine. Baristas often disagree on the fundamentals of the perfect cup of coffee, some say it’s the fresh beans that play the biggest role, other argue that hand grinding makes the largest difference, many sustain that it is, in fact, the origin of the beans that really matters the most, and a few agree that there is an ideal temperature that improves the quality of the beverage. But, there is one thing they all agree on, one key ingredient, an indispensable element that must be present in any cup of coffee for it to be considered impeccable; good quality milk, Steam to perfection. What Is Steamed Milk? And Why Is It So Important? Before learning to steam milk you must first understand what it is and why it is so important. Steamed milk, also referred to as ‘microfoam’, or wet foam is the product of steaming milk(usually whole milk) with the wand of an espresso machine, causing the denaturation of its proteins. and so, making them pull gas to their surface and holding it in place, steamed milk has the characteristic of being an extremely fine foam with no visible bubbles. It is crucial in the preparation of a high quality and classy cup of coffee for two reasons; it’s tastier, or usually perceived as a more appetizing alternative to normal milk, mostly because of the altered properties of the milk at high temperatures. For example, the lactose it contains tends to be regarded as sweeter because it becomes more soluble, and it is crucial for lane art, which adds a layer of class and style to any cup of coffee. Now that you understand what microfoam is, let’s move on to making it. We will now go over the process of steaming milk with an espresso machine, this procedure can be broken down into 4 stages, while you get ready to prepare your microfoam to keep in mind that making wet foam is not an exact science, it will require skill and practice, you might not get it the first time but with some patience the results will be amazing. The very first thing you will want to do is to identify what kind of espresso machine you’re working with, find the steam wand, a curved, metallic rod with a small bulge on the tip, which tends to have one or several holes, or a wire mesh; it will have a pivot, usually covered with a black, plastic, accordion-shaped cylindrical piece similar to those present in automobile gear sticks, somewhere above it, or in the contiguous area, there will be a button, lever, or knob that activates the wand, having identified all these components we now move on to gathering the materials. The first thing you will need is, of course, the milk, for best results whole milk should be used, but half and half works well too, skim milk and low fat or lactose-free milk might not have the same volume and flavor. Next, you will need a pitcher, metal pitchers are commonly used and tend to work best, plastic pitchers ought to be avoided, make sure both the milk and the pitcher are cold. Even though it sounds simple, measuring the amount of milk you will use is a delicate process, using to much milk will make it harder to steam and might scorch the cream or create too many bubbles. If you use too little it might be excessively thin, and not be enough to make more than a cup, usually, you will want to fill the pitcher up to about the center. Now we move into the actual foaming of the milk, this is divided into two steps, stretching and spinning. Before you start stretching you must ‘purge’ the wand, this means cleaning it, by turning it on, letting steam race out and wiping it, to get rid of milk or particles that might be trapped inside, now we start stretching, during this step the wand is introduced just under the surface of the milk, microfoam is formed, be careful to let the milk spin while you do this, it should take about 4 seconds, you should hear a hissing sound. When the microfoam has been created its time to spin the milk, for this step you must sink the wand slightly further down into the pitcher, tilt the pitcher slightly to one side, and let the milk whirlpool, keep the whirlpool going until the pitcher heats up and you are only barely able to hold it without burning yourself. Now that your steamed milk is done all that is left for you to do it does disperse any bubbles that may have formed by gently tapping the pitcher with a spoon or other similar implement, and to swirl the milk around, in order to polish the milk. Be sure to clean the wand and the espresso machine when you’re done. Finally, you are going to want to clean the steam wand fairly regularly. There are a bunch of different products that make this very easy. Click here to see these on Amazon. Now that you know the basics of steaming milk using espresso machines, all that is left for you to do is practice, remember to follow up with a great coffee to use your deluxe foam on. Making espresso is quite easy, you can make a fine barista at home only if you have a breville machine. That machine is all you need to make good quality espresso. Easy as the process might be, there are some key things you need to factor in as you work the machine. From figuring out what each part does to getting your grind, filters and shots right. The first part of the process is ensuring that your beans are freshly ground. These go into the burr grinder. At this stage you need to preset your grind to the preferred size depending on your scale level of expertise, the Grind dial sets the fineness or coarseness of the grind. This helps archive optimal extraction. You don’t want your grind too fine or too rough, if the texture of the grind is similar to that of baking flour then that is extremely fine and thus it will block the passage of water even if the pressure is increased. The extreme fine grind will also make your espresso too concentrated with a bitter taste. If your grind is too coarse then water will flow through it without really getting the required concentration. It is easy and fast to set the grind size to dual wall and ensure you are using the grind wall filters. 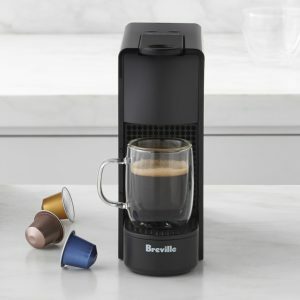 Most barista express breville machines are fitted with grinding cradle that is placed right below the conical burr grinder. This also supports a portafilter, where the coffee beans are put as the next process. As the portafilter is being filled you can continue doing other side preparations, this process does not require much of your attention. It is important to ensure that your filter and the portfilter are completely dry before filling the filter. There is a coffee spoon provided for filling the coffee into the filters, it is important that you use it to ensure that your quantities measure right. At this point you need to figure out whether you are making a single or a double shot. A single shot makes approximately 1 oz. while a double shot makes approximately 2 oz of espresso. A single shot is one flat scoop while a double shot is two flat scoops, using the provided spoon of course. The next process is tamping. This is the consistent application of pressure to the grinds. The tamper is removable and can be used while attached to the machine or separate. Timing is another important thing to consider when brewing coffee, when coffee tastes weak other than the reason being the usage of coarse grind and not firmly tampering the grind, it can also be due to over-brewing. So then how do determine the proper amount of time required? When brewing a single shot which weighs 7 grams it takes 20 seconds from the time you begin to pump. Double shot is made in 20-25 seconds from the time you begin to pump and weighs 14 grams. Finally the crema, this is the thin form-like layer of on top of espresso, in other simpler languages though, crema is just coffee. Its production is thus from a series of all the processes achieved above and if they are done right then it should be right. From getting fresh coffee beans to getting the right grind, tampering and filter. 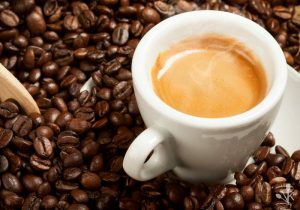 Coffee beans should be used within a month if you want them to remain fresh and the pre-ground should be used within a week’s period otherwise the crema will not be right. When it comes to the storage of either one of them the containers used should be airtight and of course the place should be cool and dry as is with almost any other products. For the best experience with your breville espresso machine ensure proper care is taken. Such includes regular cleaning, replacing of parts periodically such parts include parts like the water filters and finally decalcifying the machine, these are some of the care and maintenance processes required to ensure quality coffee.